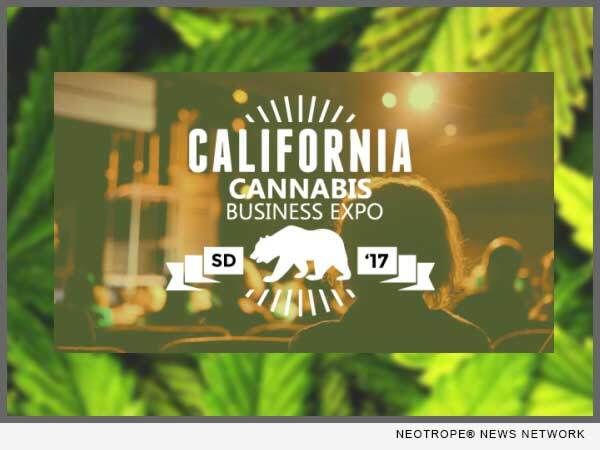 SAN DIEGO, Calif. /California Newswire/ — MJIC, Inc., the leading provider of cannabis regulatory compliance solutions and services, media, investor capital and supply chain distribution, announced today that it expects to sell out for its upcoming third Annual Cannabis Business Expo, March 5 – 8, 2017 in San Diego, California. MJIC attributes the flood of pre-event registrations to mounting concerns centered around California’s complicated licensing regulations that will impact every participant in the Cannabis supply chain, from growers to dispensaries, to ancillary non-flower touching suppliers like surveillance and technology providers seeking to do business in the 6th largest economy in the world – California. Of primary interest to attendees is the pre-state licensing strategy track for obtaining municipal operating permits, the implementation of California’s regulatory infrastructure roundtable by state and local officials and the keynote speaker U.S. Rep. Dana Rohrabacher, notable R-Calif who introduced a bill that would protect states’ rights to legalize marijuana (Respect State Marijuana Laws Act) are trending as the hottest Expo draws this past week. Session attendees will leave with a solid soup-to-nuts understanding of licensing intricacies on what is necessary to compliantly kick-start a new operation or grow an existing business. The 3rd Annual California Business Expo will be held at the Sheraton Marina Hotel in San Diego, March 5 – 7. Interested parties can learn more at http://www.calcanbizexpo.com/. The MJIC Distribution subsidiary is a municipally licensed distribution company, positioned for state licensure and state wide operations, including brand and product development selling for and to growers, manufacturers and dispensaries. MJIC media operations markets its partners and clients through MJIC media events, and deploys recognized industry leaders in trade shows, magazines and its online assets such as http://www.marijuanaindex.com/ for the total compliance experience. For more information, visit http://www.mjic.com/.